With The Last Stand, Sabaton drops their eighth studio album, once more on the Nuclear Blast label. If you have any familiarity with Swedish metal band Sabaton, then you know what you're going to get with a new album. But let's break it down. It's rather simple. You can use Google or Wikipedia to catch up on your military history. And that's pretty much it. All you need to know about the latest Sabaton album, The Last Stand. Call them predictable or simply formulaic, but Sabaton completely owns the military history heavy metal niche. Sabaton fans will be pleased once more. Recommended. 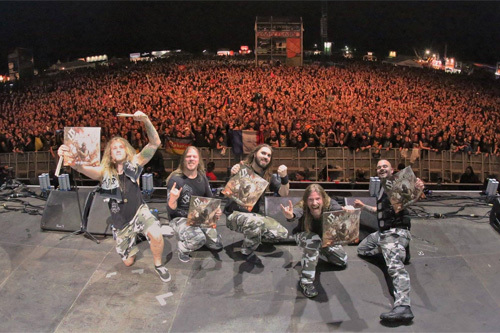 Call them predictable or simply formulaic, but Sabaton completely owns the military history heavy metal niche. Sabaton fans will be pleased once more. Recommended.